A new piece in The Tennessean took a look at a different kind of Nashville-area home buyer: the growing group of people who don’t live in Middle Tennessee full-time, but still want to own property here. “Growing numbers of homes across Williamson County are being purchased as second homes by owners who live here part time,” the paper said, noting that amenity-rich and master-planned communities like Westhaven and Berry Farms have proven to be particularly appealing to those buyers. There are a lot of reasons why a second home in the Nashville area might make sense — you have regular business here, or you have family you need and want to visit regularly, or your flexible job lets you work anywhere, and Music City has a strong more-than-just-a-tourist draw. There are a lot of reasons why a Middle Tennessee condo or townhome community might make the most sense for that need, too — you’re not worrying about landscaping while you’re gone, you’re finding desirable locations for more manageable asking prices and, in lots of cases, you’re getting the benefit of stuff like covered parking, a gym or a pool. Those Williamson County options that The Tennessean pointed out can certainly be wonderful second homes. But what if you’d really rather stay closer to Nashville? The new Ashland Place townhome community is convenient to the busiest and fastest-growing parts of the west side of Nashville (the Charlotte Corridor and The Nations), and if you’re used to luxury details, you don’t have to skimp. These properties have hardwoods, high-end lighting, custom tile work, stainless appliances — all the upscale finishes you’d expect — but the asking prices range from just under $200K (like the 2-bed, 2 1/2 bath listing above) to the mid-200s. We’re beyond proud to list the homes at Ashland Place — if you want to learn more, drop by LiveAshlandPlace.com, check out the units that are currently on the market, and give us a call if you still have questions. If your other home is in a large city, and you prefer the urban, walkable way of life, The Gulch might be a good bet. Since it’s a highly desired part of town, tighter budgets will leave you tighter on space, but most buildings in the neighborhood definitely don’t skimp on amenities. 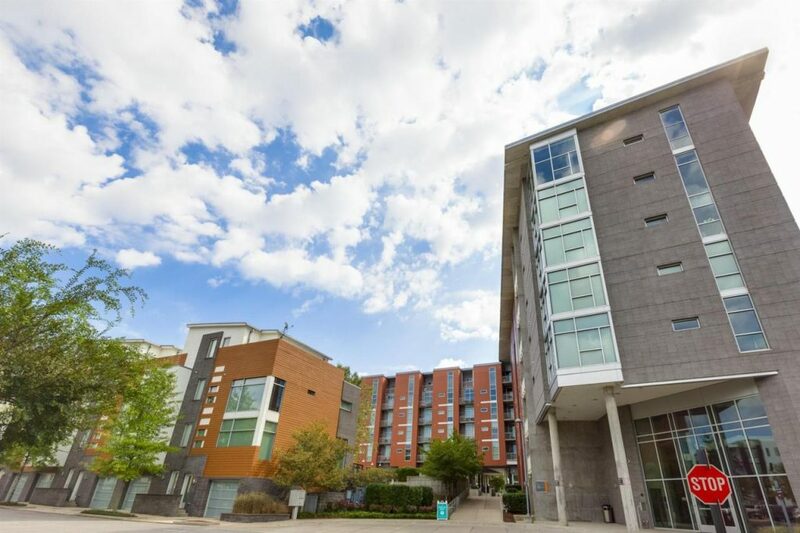 This 1-bed, 1-bath unit at Icon in The Gulch gives you access to lots, including a fitness center and roof deck with a beautiful view. If cool and historic and close to downtown Nashville are all firm on your must-have list, Werthan Lofts might be worth a look. 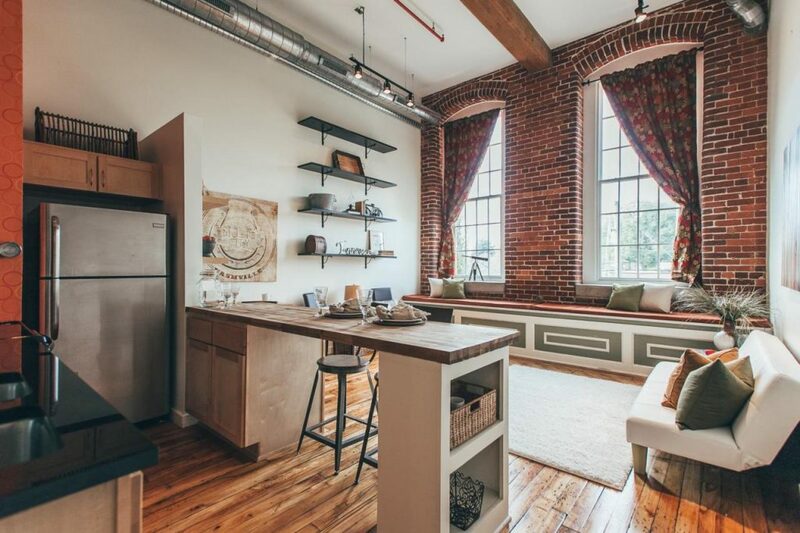 These lofts were built in a 200-year-old former textile mill, and original details (like hardwoods and exposed brick) remain, along with fresh industrial design. You get easy access to the great Germantown dining scene here, too. You’ll find a wide array of condo options downtown, and many of them are modern, beautiful and brimming with amenities. If downtown is your aim, we could suggest a bunch of communities. 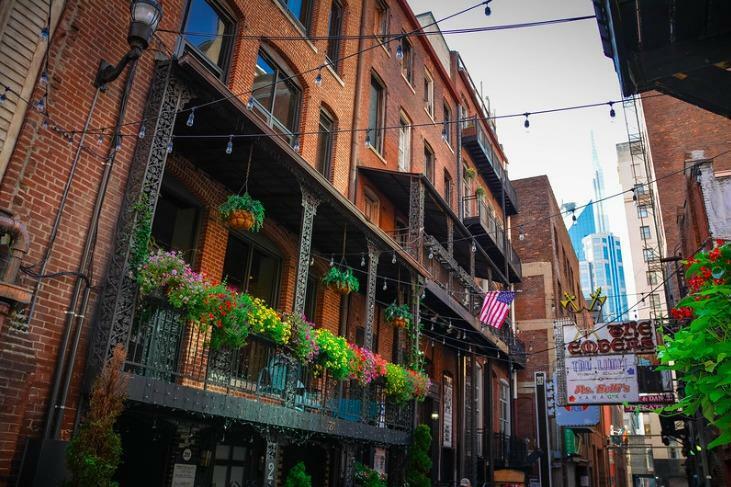 But if we had to pick one that we found particularly unique and special, it might be Phoenix Lofts, right in the historic Printers Alley and with a cool New Orleans feel you don’t find elsewhere in Nashville. Lots of industrial-loft appeal here, from the exposed brick to 15-foot ceilings. This unit’s asking price might be on the high end for a second home, but if you’re used to New York/L.A., it probably doesn’t elicit much of a flinch. We’re super partial to eclectic and electric East Nashville, and if you’re looking for a detached, single-family home there, we have some stunning listings of our own that we can show you, including a completely updated historic home on Cahal and a huge brand-new build with expansion potential over in the lush and green Fortland Park. On the second-home-friendly condo front, there are a few options around too, including 5th & Main, in the middle of the growing Main Street district. At this community (built in 2008), you’re walking distance to restaurants and shops, close to the central hub of Five Points and just a field-goal kick from Nissan Stadium and downtown. Melrose is another Nashville neighborhood that’ll keep you plenty busy, if restaurant hopping/nightlife is what you’re looking for. 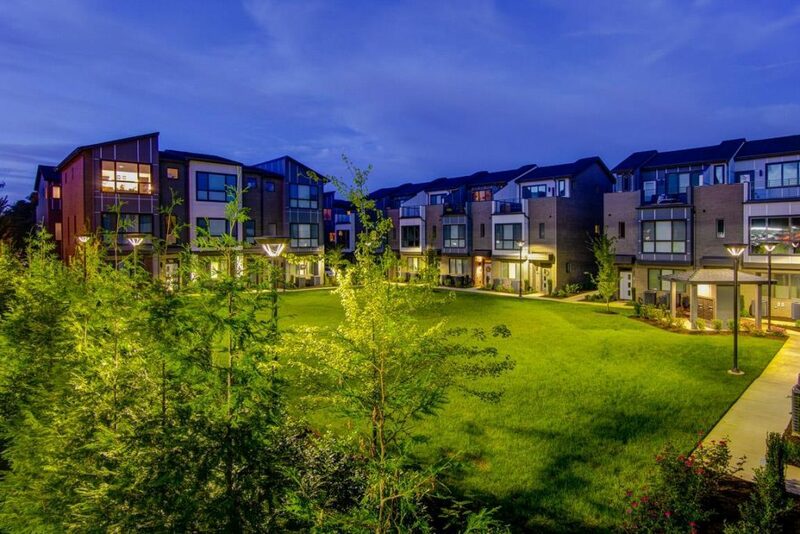 The townhouses at Melpark put you right in that mix, with high-end finishes, lovely green space you don’t have to maintain and two-car garages. 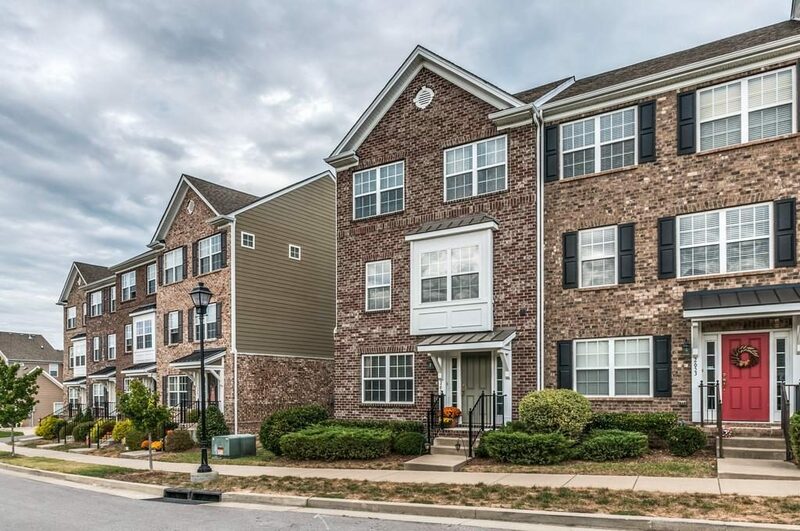 Lenox Village is a little further down the way (about 11 miles southeast of downtown Nashville), but that bit of distance brings about a lot of space for your dollar, and the location offers those planned-community benefits the Tennessean piece spotlighted. All around the village, you’ll find shops and restaurants and businesses (from upscale burger chain Burger Republic to women-focused fitness spot Niki G’s) that make it pretty unnecessary to leave, unless you have specifically Nashville stuff to do. As an example of the value: This 3 bed, 2 1/2 bath unit, with just shy of 1800 square feet, is listed in the mid-200s. 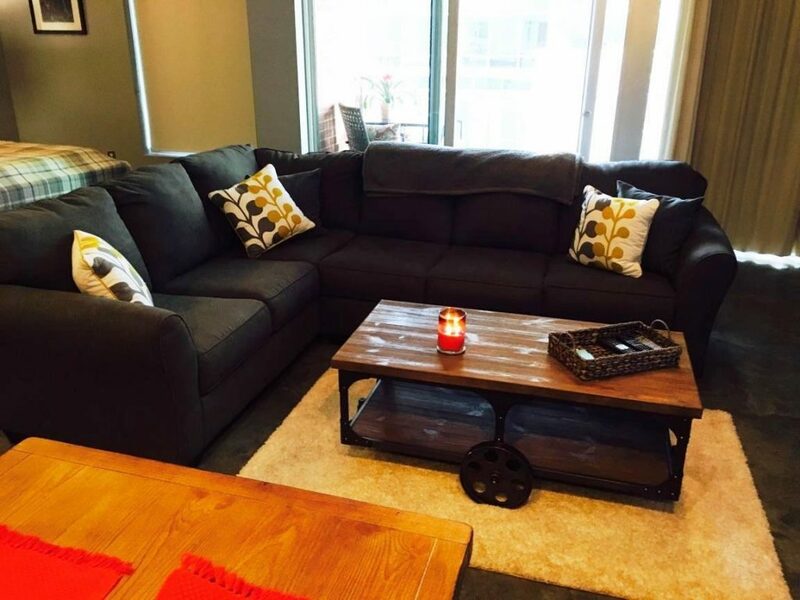 Any of these areas/listings speaking to you as a potential second home in Nashville? Or a potential first home? Let us know if we can help you find a perfect place to call home here — first, second or otherwise.